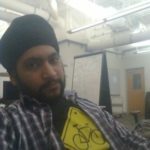 Arvinder Saini is a senior security consultant at Synopsys. He has 4+ years of experience performing architecture security reviews and penetration testing thick client, web, and mobile applications. He also delivers threat modeling training to Synopsys clients. Arvinder holds a Master's in Information Security from Georgia Institute of Technology. Posted in General | Comments Off on What are the different types of software testing? How much do bugs cost to fix during each phase of the SDLC? Posted in Software Architecture and Design | Comments Off on How much do bugs cost to fix during each phase of the SDLC?